A M Aditya, Cofounder of Xaltius.tech. 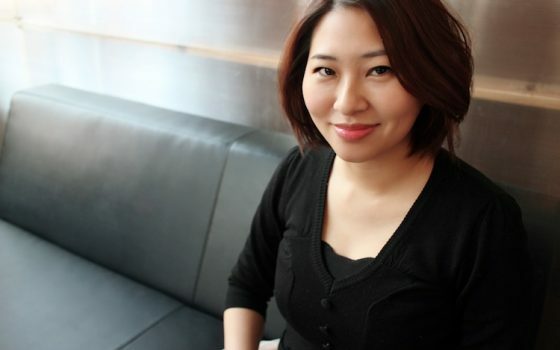 Dat Le, Director of Data Science & Engineering at 90 Seconds. 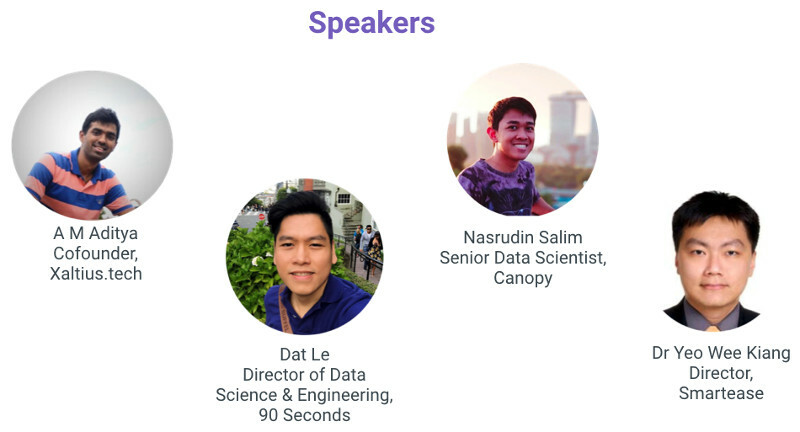 Nasrudin Salim, Senior Data Scientist at Canopy & Cofounder/COO of Chatoyance. Dr Yeo Wee Kiang, Director at Smartease. Data Science is a hot topic in the industry now, and without a doubt, the large crowd at NuSpace can attest to this. Talk #1: Enhancing Customer Experience through AI – by A M Aditya. Aditya shared on how data science and artificial intelligence (AI) can help enhance customer experience on a day to day basis by using an example of the travel and tourism industry. Here’s a video recording of his talk. Nasrudim whipped out his laptop that was loaded with Jupyter Notebook and gave us a great talk/demonstration of AI image recognition. Our videographer (yours truly) flubbed the screen capture and hence, we’re unable to post the talk here. *Deep bow of apology*. If you are interested, you can read Nasrudin’s Jupyter Notebook by cloning from his github. The Jupyter Notebook is one of the most commonly used tools in Data Science, but there are some useful features that are not so well-known. 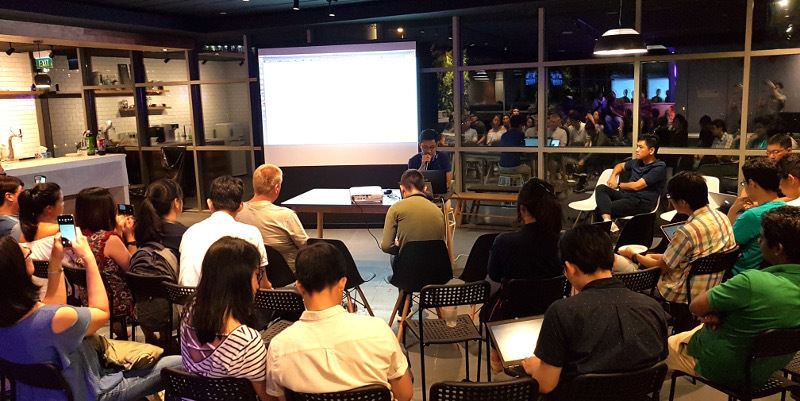 Dr Yeo gave us a demo of those features and how they can enhance the efficiency and experience of using Jupyter Notebook. the members broke off to chat and mingle amongst themselves. We would like to thank everyone for joining us, and our generous speakers who shared their knowledge – thank you! Check out more event pics at our Facebook. 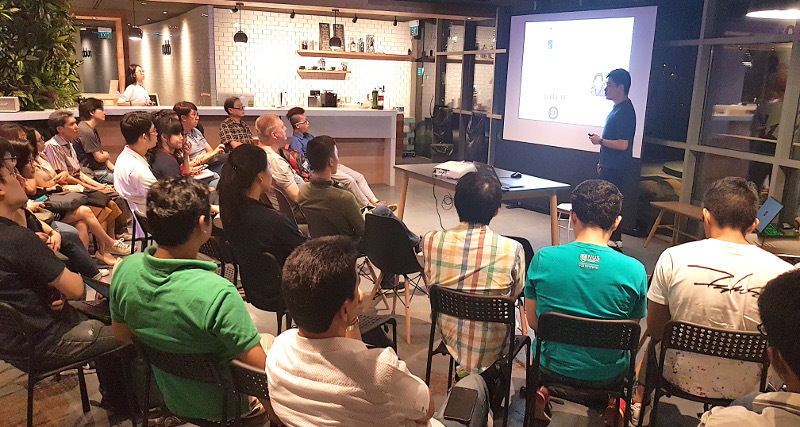 If you’re interested to join our meetup events, please sign up at our meetup group, or better yet, become a Nulab member so you can get updates and enjoy free access to NuSpace!